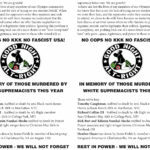 Olympia Anti-Fascist outreach event in solidarity with Charlottesville fighters. In the early evening of Friday August 18th, around 25 people held an anti-fascist outreach event in downtown Olympia. In the wake of the horrific events in Charlottesville, we feel a heightened need to regularly assert and maintain a visible presence in the streets. We want to interact bluntly with people face to face, beyond the rhetoric of one-off demonstrations. We want to build a consistency to our activity. We do not want to let this moment of heightened concern from liberals and the general public be channeled uselessly back into dead end reform. We must confront the racist, authoritarian violence of both fascism and capitalist democracy. We wish to be up front about this with others and believe that connections can be made to further develop revolutionary forces from popular anti-Trump sentiment. 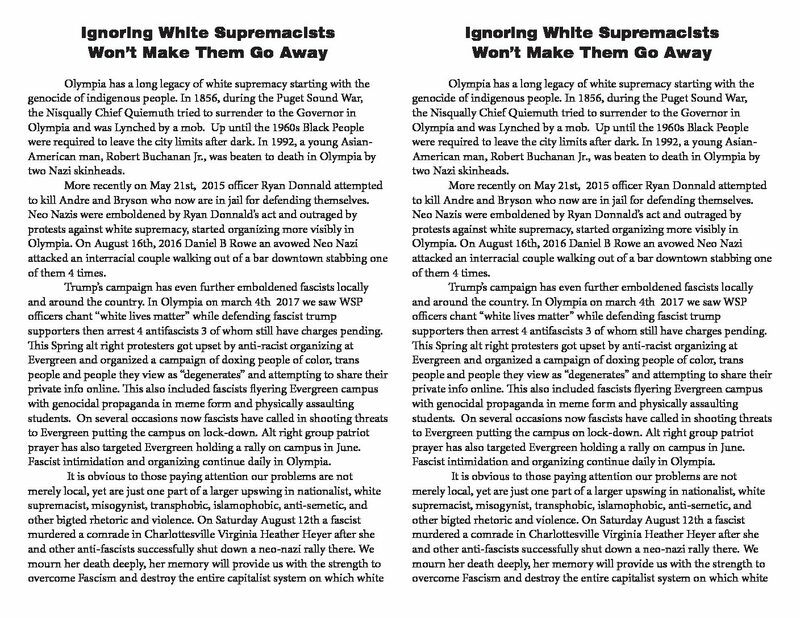 Well over a thousand flyers were distributed contextualizing the events of last weekend from an anarchist perspective, and connecting the events to fascist activity in Olympia and the struggle against it. This was almost entirely well received; many people reacted with excitement, some even spontaneously offering vitriolic anti-Nazi diatribes in response. Rest in power to Heather Heyer. 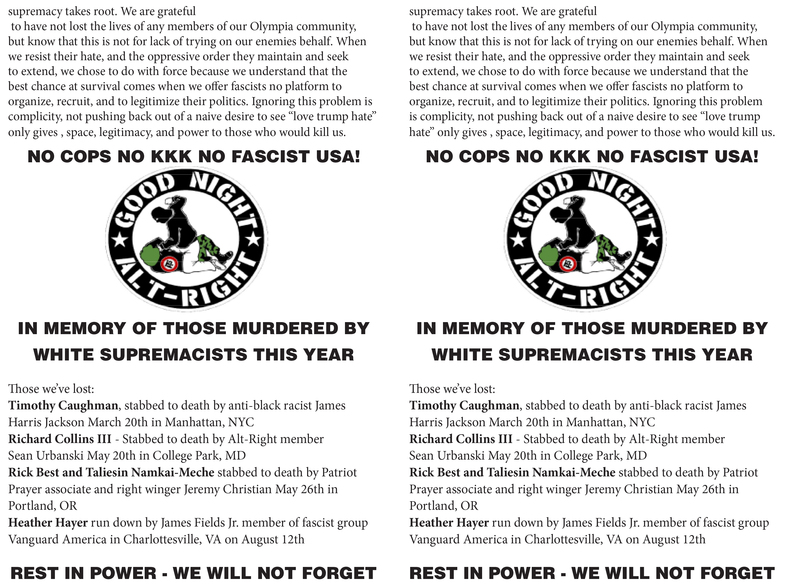 Solidarity to the anarchist and anti-fascist fighters, in Charlottesville and elsewhere.